Home / Tree House Jump And Slide Combo. Tree House Jump And Slide Combo. 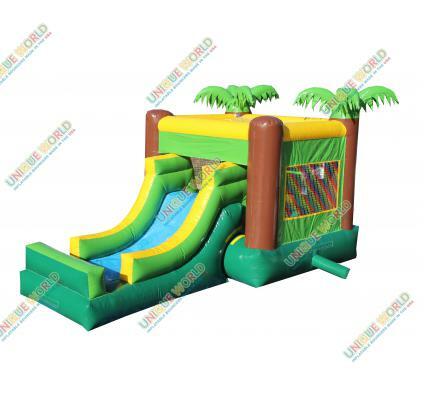 The Tree Jumps & Slide Combo is an inflatable oasis kids of all ages will love. 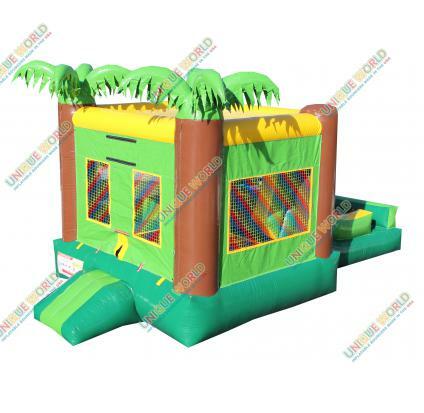 This inflatable combo features palm-tree styling, with inflatable leaves and printed details. The vibrant green color of the combo is accented by a desert tan and a bright yellow, all coming from our tough, commercial-grade vinyl material. Generously-sized mesh openings let in air and light, and an inflatable entrance ramp makes getting in and out very easy. 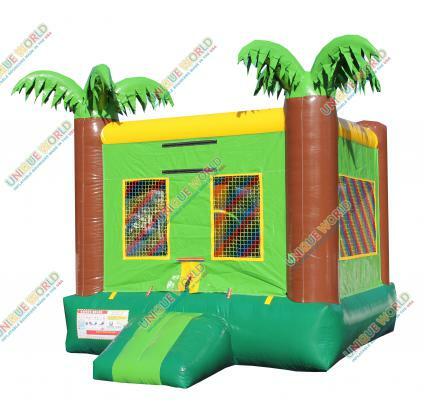 Very good for Medium size party. Previous Vintage Style Popcorn Popper Machine Maker.